Jimmy Rattlesnake, the ‘Smilin’ Rattler’ is a legend. He was one of Canada’s greatest aboriginal athletes and baseball was his game. Born on the Hobbema Reserve in 1909, he was an outstanding pitcher who was scouted by a New York team in the 1930’s and invited to Spring Training. The team was high on him and Jimmy did play a few games, but he didn’t like the big city of New York and slipped away one day and returned to his reserve. For the next 20 years he was one of the premier pitchers in Western Canada, playing in all the big tournaments that existed at that time. 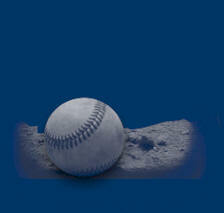 Although he did participate in other sports too; soccer, curling, and horseshoes; his first love was always baseball. In his day it was difficult for a Canadian to go to the National League in the USA. To be scouted or to go any place for a tryout was just about beyond comprehension. Every few years there might be the odd scout through our area, so for Jimmy Rattlesnake to go to New York for a tryout and make the team was quite an accomplishment. 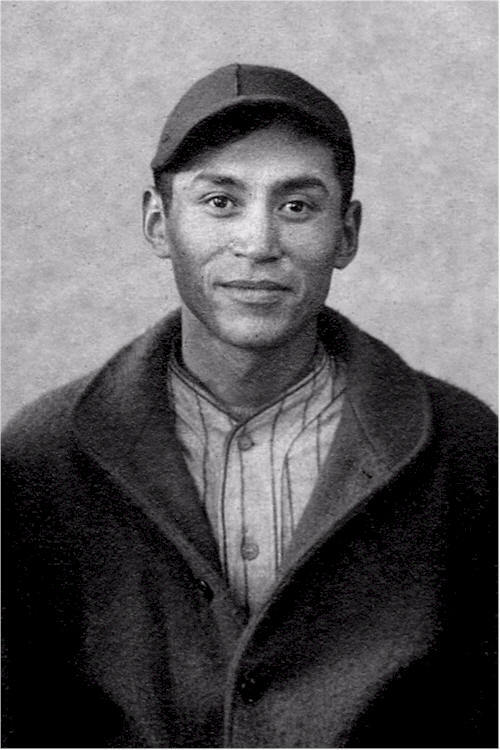 It is said that Jimmy was one of the first Canadian baseball players to turn professional in the USA and certainly he was the first Aboriginal baseball player from Canada to do so. Jimmy Rattlesnake had tremendous natural ability and the perfect physique for a pitcher. He was over six feet tall and lanky, his shoulders were kind of stooped like he’d spent a lot of time on the mound and he was a good runner. 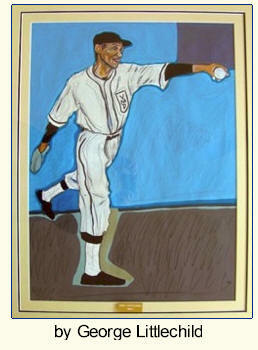 A crafty and cunning pitcher, many people used to compare him to Satchel Paige. Jimmy fascinated baseball people, they wondered where he learned to throw like he did. Batters all felt ‘the Rattler’ was dangerous, he made mortals out of heroes. Jimmy threw what was call a ‘sawdust ball’, it made hitters uneasy as the ball looked like it was never going to get to the plate and then just as a hitter was swinging, the ball would do something crazy, tail or drop and the batter would miss it by a country mile. He’d show hitters his fastball, but all his strikes would be curves. Jimmy was an idol to many aspiring pitchers and many tried to emulate his throwing techniques. A “southpaw”, he was great at picking off players trying to steal bases, it was like he had eyes all over and he was fast. 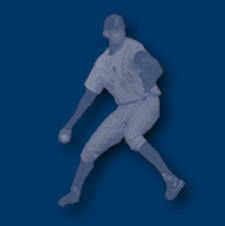 Most fans and spectators recall his “pick-off move” to first base which was like no other pitcher during his era. He also had a reputation for being cool under pressure; with two out, bases loaded, he’s most often come through looking good. However, the biggest trouble was trying to catch for him, catchers used to feel like they were sticking their hand in a “sack full of rattlers”. Many of his friends and team mates in Hobbema who played or practiced with Jimmy and didn’t use catchers mitts had bent or broken fingers because of his pitches. Even some of them who did use catchers mitts suffered the same fate. Jimmy Rattlesnake roamed all over Alberta and Saskatchewan playing baseball , he’d show up anywhere and everybody seemed to get a thrill out of it, just knowing he could appear unexpectedly. He played in all the small Alberta towns, especially in the money tournaments....Wetaskiwin, Lacombe, Neilburg, Alix, Clive, Tees, Mirror; you name it, he was probably there. Everybody knew his name and people got so they’d know instinctively when he came to a particular area and they’d be on the lookout for him. Sometimes, a team would try to keep him a secret until the line-ups were called, sort of like a secret weapon in reserve. The Stockyard Bulls in Edmonton (early 1930’s)- he was picked up in Hobbema and driven to the games by a man from Ponoka named Dobson. Victoria Machinery Depot Shipbuilders (1943) - During the war Jimmy played for this team that had real success against the army, navy and air force teams that had some of the best athletes in Canada playing for them. Laurel Harney a renowned baseball player, coach and manager took him out to Victoria. Jimmy was successful playing for the team but didn’t like working in the shipyard and living so far away from home so he left. The team brought him back for playoffs that year and he won two big games for them in relief. There are no written records but it is believed that he also played in Seattle. Jimmy’s many years of tournament baseball were acknowledged by Baseball Alberta’s “Life Member Award”. Also, Baseball Canada has an award called the “Jimmy Rattlesnake Award” presented annually in his honor to the Canadian Baseball Player that represents both talent and sportsmanship. An athletic award in Jimmy’s name is presented annually at Erminskin School in Hobbema. Humble and unassuming, Jimmy was not only a superb baseball player but a fine person and outstanding citizen. Jimmy contributed to his community through his quiet role modeling and his venturing out of the community so that he could compete at the highest available levels of competition. It is with great pleasure and admiration for his ability and accomplishments that we induct Jimmy Rattlesnake into the Wetaskiwin and County Sports Hall of Fame. Read the opening comments made by Sandra Wright when speaking about Jimmy Rattlesnake. Read the acceptance speech made by the daughter of Jimmy Rattlesnake.